The Franchisee agrees to pay the Franchisor in advance for setting up of a store, The price depends on a type of store. More detail about the start-up expense, please contact us directly at contacts@nhamor.com. The Franchisor has developed methods for establishing, operating and promoting businesses engaged in the business of food and beverage using the service mark and related trade names and trademarks (“Marks”) and the Franchisor’s proprietary methods of doing business (“Licensed Methods”).The Franchisor grants to the Franchisee, and the Franchisor accepts the Franchisee, the right to use the Marks and Licensed Methods in connection with the establishment and operation of Nha-Mor franchise. The Franchisee agrees to use the Marks and Licensed Methods only in accordance with the terms and conditions of the Agreement. 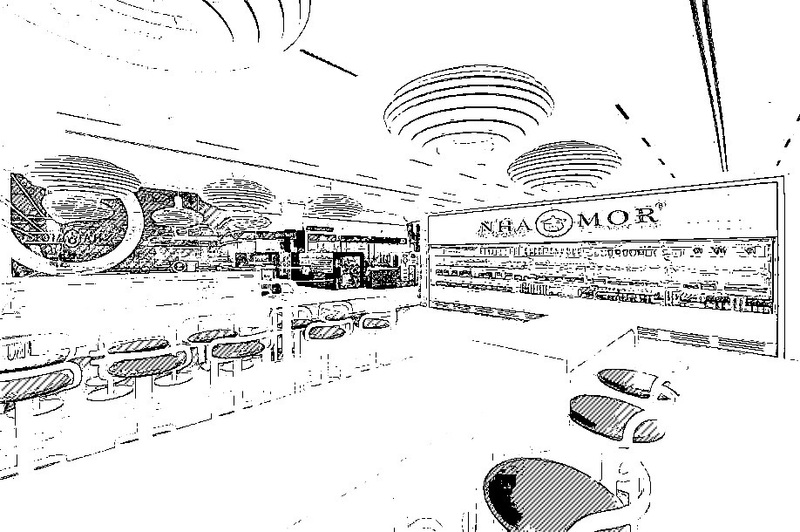 The Franchisor shall survey a potential location for a new Nha-Mor store following the Franchisee’s preferences and shall propose the space together with the store’s rent quotation to the Franchisee. In setting up the Franchisee’s first store, the Franchisor shall have a professional consultant in order to consult the municipal office for which food and beverage permit among A1, A2, A3, A4 and A5 a food and beverage business should apply. The Franchisee shall make a copy of the permit in case an unforeseen of future. The Franchisor shall facilitate a store rental agreement with a building owner or representative and liaison with both parties’ lawyer until the rental agreement is signed. The Franchisor shall design the store to be suitable to the nature of the business. The Franchisor shall control any store expansion to be in accordance with the design set by the Franchisor. The Franchisor will provide necessary equipment and tools for the Franchisee. The Franchisor will provide products, packaging, raw materials and necessary public utility for the Franchisee. The Franchisor will provide training to the first group of 10 employees and, in accordance with the law, will issue a Food & Safety certificate to the employees by professional Food & Safety trainers. The Franchisor shall inspect the store to ensure that quality of food and safety is in accordance with the law. to ensure that the quality of employee hygiene and safety is in accordance with the law. The Franchisor will provide any suggestions for Franchisee about business plan, system or any query for all over contract period. The Franchisor will provide some necessary spaces for Franchisee to join on the main website by adding Franchisee’s location, map and photo gallery. The business sharing platform for the franchisor and franchisees is 60/40. The franchisor takes 60% and the franchisee takes 40% from the monthly net profit. The franchisees, nevertheless, have their own right in management on their branch. Forty percent (40%) of setting up price for the franchise is required on the date of signing contract. Another 60% of setting up price must be paid a month later. The franchise fee that is applied for the business for per 2 years. The cost of products, packaging, raw material and public utility that the Franchisor shall provide for the Franchisee. Construction materials fee or interior fee. Fee cause from the contract with the company. Employee’s wage and cooperate income tax are on Franchisees’ responsibility. Further expenses dealing directly by Franchisee. The Franchisee will be able to get discount for the franchise fee after the third branches for 5% and after the 10 branches for 10%. Franchise contract will be valid for 24 months. Cost of continuing franchise fee contract will base on 25% from the current Franchise fee.